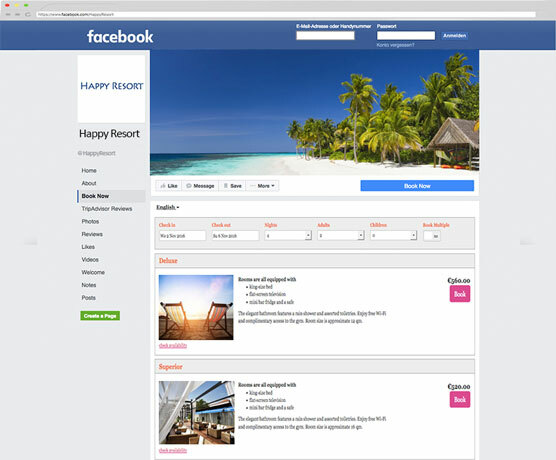 Turn web site visitors into guests. 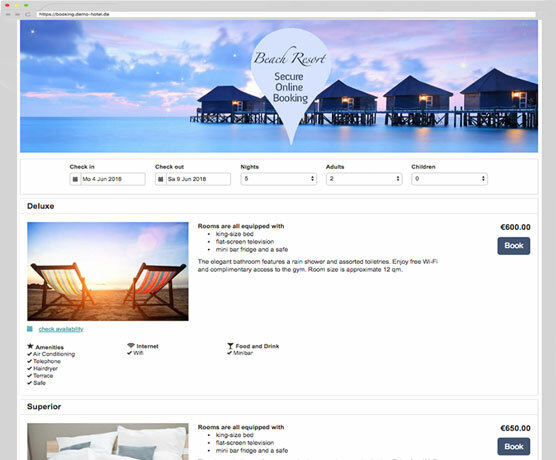 Increase direct bookings with a powerful booking engine. The modular approach gives you full control over design, layout and content to seamlessly fit into your web site. Choose from a range of preset designs or completely roll your own. 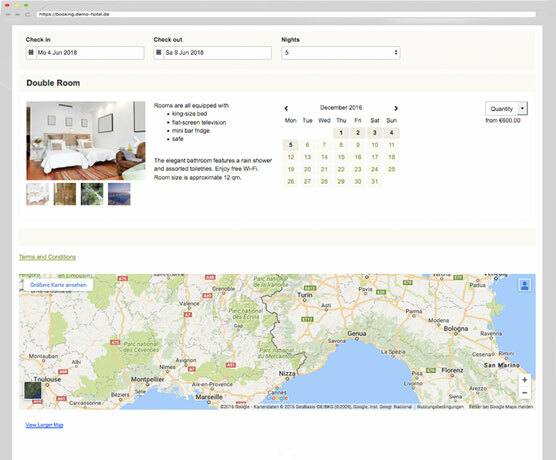 Available modules include picture sliders, maps, availability calendars, price tables and much more. 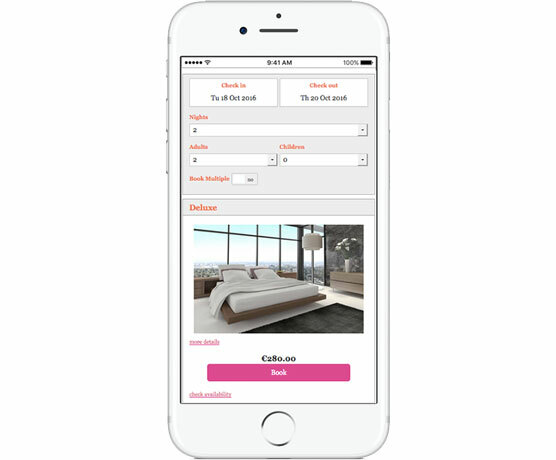 Don't‚ miss out on the increasing number of of guests booking on mobile devices. 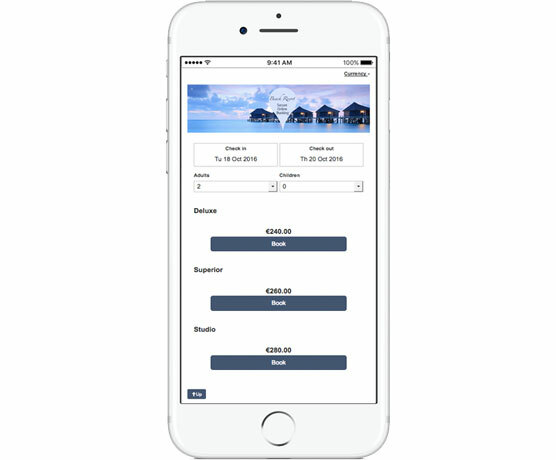 The booking form is fully responsive so it adapts automatically to the screen size used. 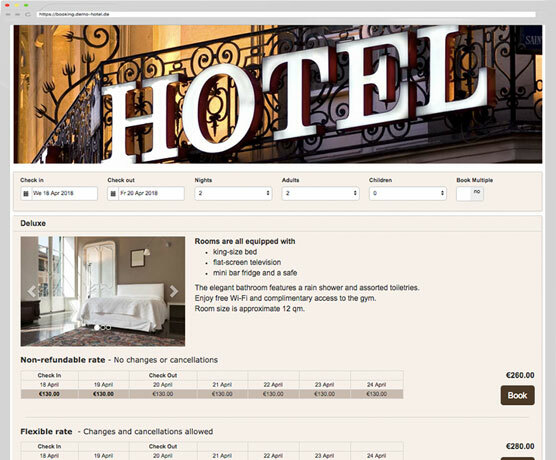 It is designed to give your guests a perfect booking experience on desktops, smart phones and tablets. Collect payments from guests via Paypal, credit card or accept bitcoins. Beds24 integrates with a number of leading payment gateways which allow you to securely receive online payments directly into your account. Or collect credit card details as deposit security. Start receiving commission free bookings today. Test accounts are fully functioning.